I'm not sure what desire lead to this recipe more—the thought that planked zucchini would be awesome or a strong want for tzatziki. Back when I lived in the heavily Greek populated Astoria, NY, tzatziki and pita was a common-place snack I often had on hand, but this great cucumber and yogurt dip has grown absent from my life after my move south. I actually had the thought of doing zucchini boats first, but then worked in a way to get my tzatziki too, and I made a lot of it to ensure there would be leftovers for later. Once I had the tzatziki done and resting, allowing time for the flavors to meld, I set my large plank in water to soak priori to grilling. Allowing the plank to get water logged like this helps keep it from catching fire on the grill, so it's not a step you want to omit. Settling on tzatziki and zucchini was the easy part, figuring out the right stuffing was hard. 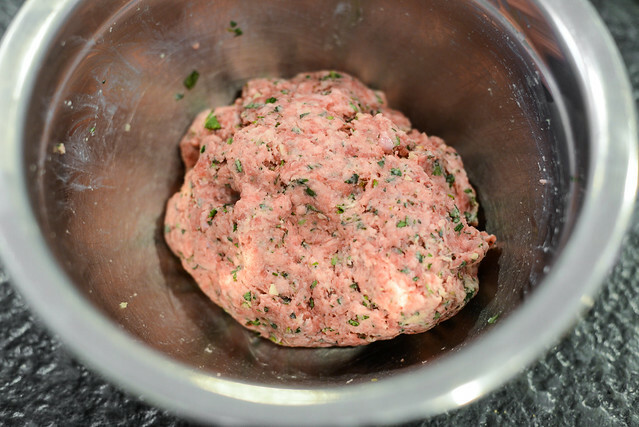 I had a whole host of ideas that ranged from souvlaki chicken to gyro meat, but the one that eventually took hold as the most likely road to success was using my base recipe for keftedes—Greek meatballs. 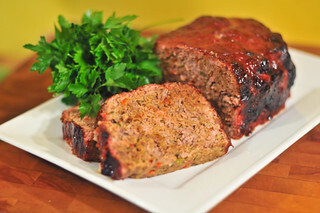 Beyond the large amount of oregano that gives this meat mixture its uniquely Greek flavor, it was the addition of milk-soaked bread that was the real lure. This technique leads to a very light and moist meat mixture, which I thought would be perfect for staying juicy after being cooked twice. 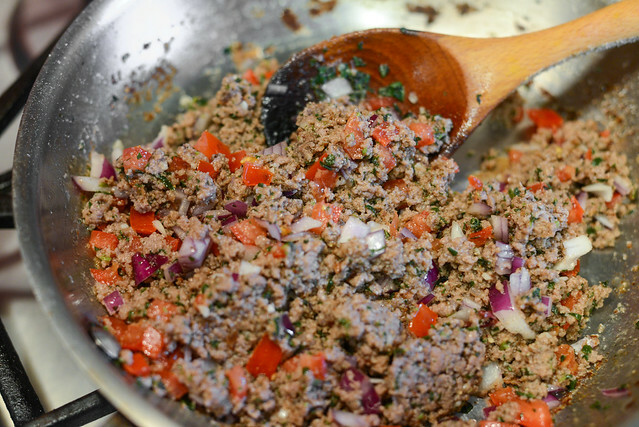 The rest of the recipe was comprised of ground beef chuck, oregano, mint, and garlic. When all combined together, I had a mixture that was cohesive and much lighter in color than normal beef meatballs thanks to the bread and milk. The first cook of the meat happened on the stovetop, where I sautéed the beef until it was cooked through, but not overly browned. This kept the meat nice and juicy, and it's also probably important to note that it felt a lot softer than what I'm used to when cooking ground beef in this way. Once cooked and cooled slightly, I then added in diced tomatoes and red onion. I wanted both of these to retain some of their freshness and crunch, which is why they were added post-cook. Next I prepped my zucchini in a manner that made them fit their "boat" label. After halving each of the medium-sized zucchinis, I used a spoon to scoop out the seeds and create a ravine for the stuffing, which gave the veggies a canoe-like shape. I really love zucchini on the grill, mainly because of the way it tastes after picking up some browning and char from a direct fire. To get that flavor into this zucchini, I started them off over direct heat, cut side down, until they developed some distinct grill marks. I then moved the zucchinis off to the side and placed the plank over the fire until it just began to smoke. 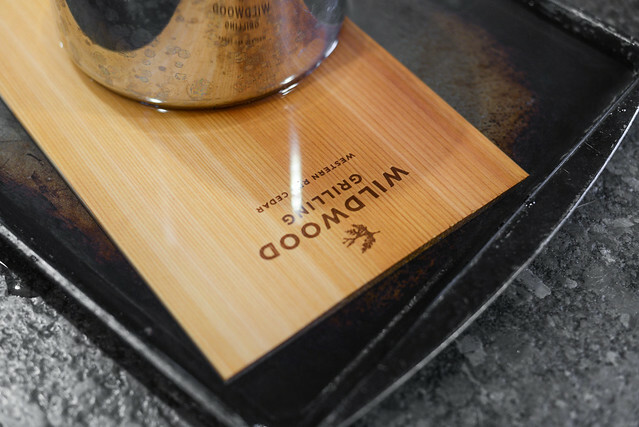 This helped activate the wood so it would give off a bit more of its woodsy and smoky character than if used in its fully water-soaked state. Once I saw wisps of smoke coming from the plank, I flipped it over and moved it to the cool side of the two-zone fire. I then situated the zucchinis on top, spooned in the filling, and covered. 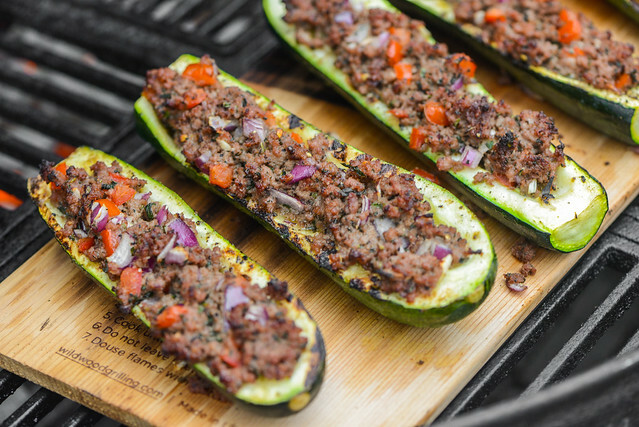 I let the boats roast until the zucchini was crisp-tender and the exposed meat had become more deeply browned—which took about fifteen minutes. Then came one of the best parts of using planks, I removed the whole plank and used it as an attractive serving piece, no extra moving things around or dirtying other dishes required. Before serving, I added on a sprinkle of feta along with a line of tzatziki. The flavor of these brought me right back to my more Greek-filled eating days. 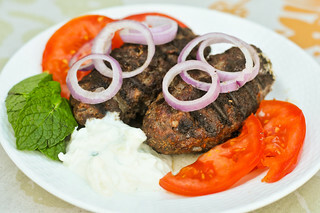 Each component had distinctly Greek influences from the herbal beef to the sharp red onion to salty feta to the tangy and garlicky tzatziki. 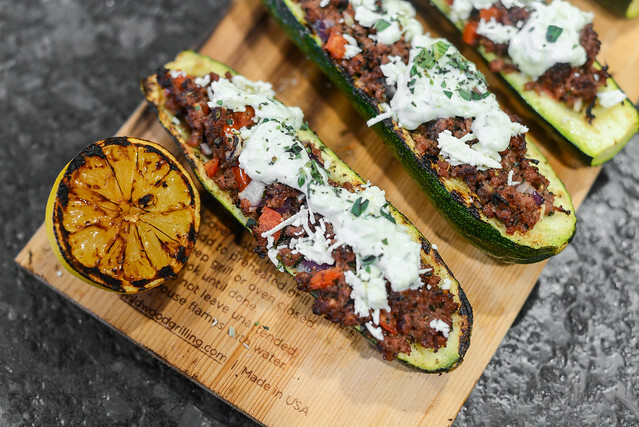 The zucchini served as a great, somewhat nondescript vessels that both let all the flavors of the filling and toppings shine and also be embedded with a faint smokiness that added to overall experience. My only qualm was I'm not a huge feta guy, and if I had still been in Astoria, I would have preferred the sharp flavor of kefalotyri cheese that is easy to procure there instead, but that's a minor point in what turned out to be an excellent recipe and great re-entry point into the world of planking. 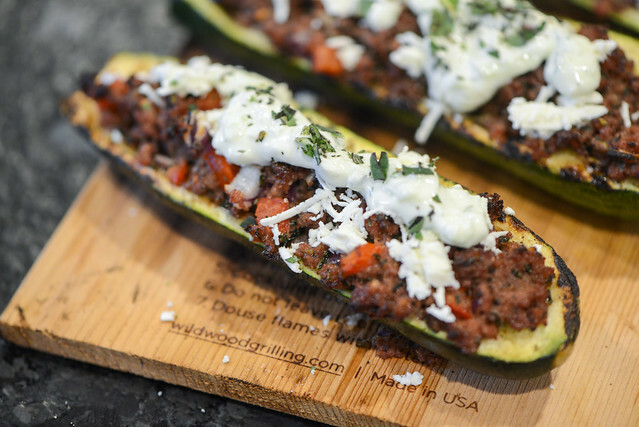 An oregano-laden beef mixture along with tangy and garlicky tzatziki give these planked zucchini boats a distinctly Greek flavor. 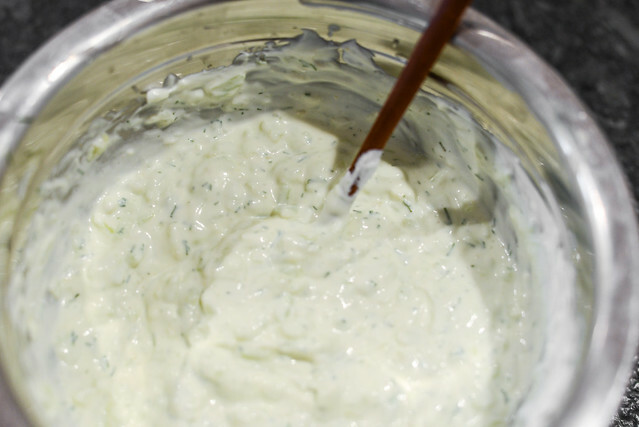 To make the tzatziki: In a medium bowl, mix together yogurt, cucumber, lemon juice, garlic, olive oil, and dill. Season with salt to taste. Transfer to an airtight container and refrigerate for at least 1 hour before using. To make the zucchini boats: Place milk in a shallow bowl, dunk each piece of bread in, and then squeeze the excess liquid out. 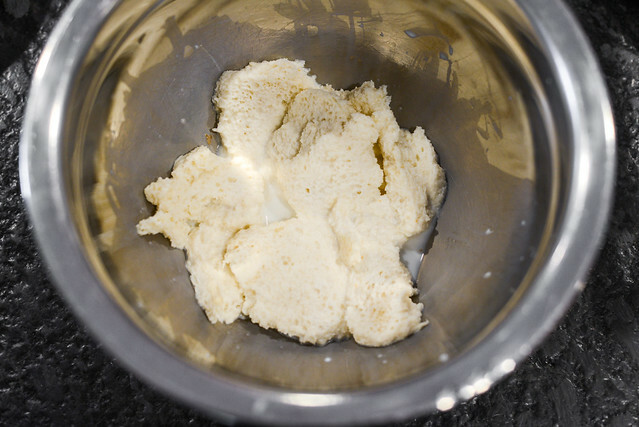 Tear bread into chunks and place in a large bowl. Add in the beef, oregano, mint, and garlic. Mix with your hands until thoroughly combined. Heat 1 tablespoon of oil in a medium skillet over medium-high heat until shimmering. Add beef mixture and cook, breaking apart with a wooden spoon, until browned throughout, about 5 minutes. Remove from heat, season with salt and pepper to taste, and let rest until cooled slightly. Add in tomatoes and red onion. Set aside. Light one chimney full of charcoal. When all the charcoal is lit and covered with gray ash, pour out and arrange the coals on one side of the charcoal grate. 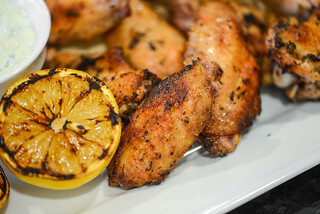 Set cooking grate in place, cover grill, and allow to preheat for 5 minutes. Clean and oil grilling grate. 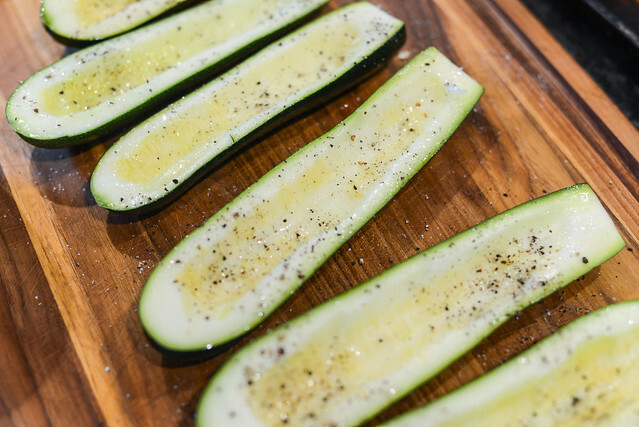 Brush cut side of zucchinis with oil and season with salt and pepper to taste. Place zucchinis, cut side down, on hot side of grill. Cook zucchinis until they develop light grill marks. Transfer zucchinis to cutting board or tray. 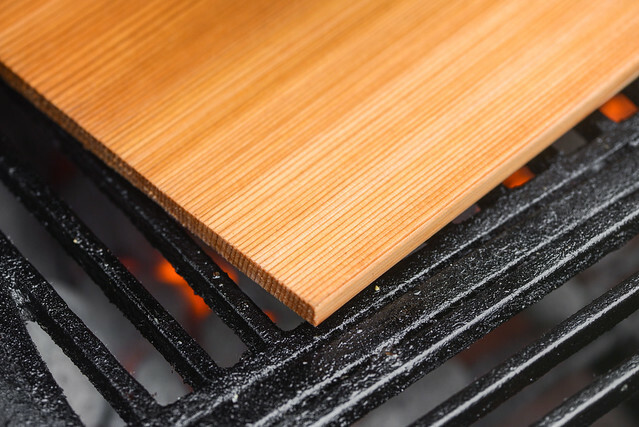 Place planks over hot side of the grill until they start to char and smoke. 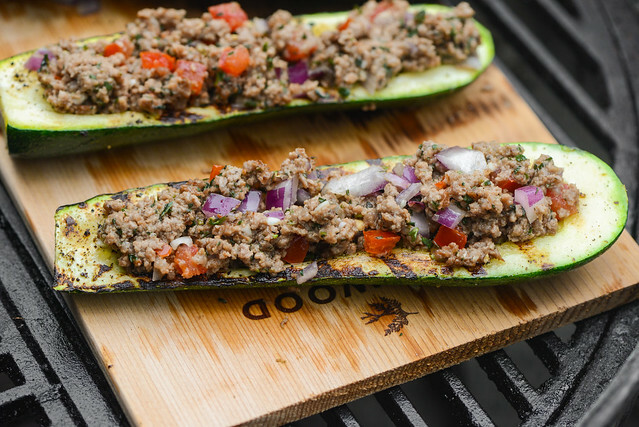 Flip planks over and move to cool side of grill and arrange zucchinis on top, cut side up. Stuff zucchinis with meat mixture, cover grill, and cook until zucchinis are crisp-tender and meat has browned, about 15 minutes. 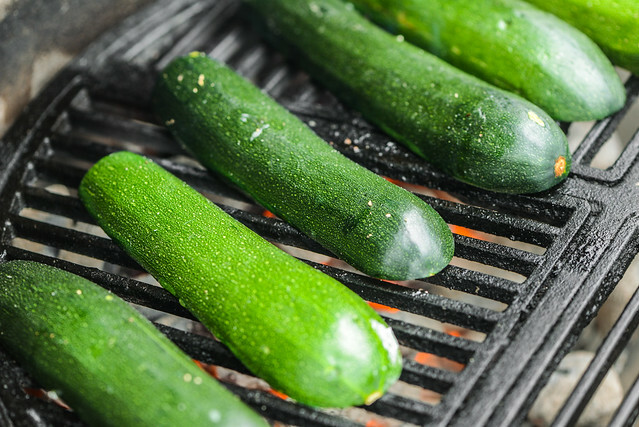 Remove planks from grill and top zucchinis with cheese and tzatziki. Serve immediately with lemon wedges.